National Anti-Drugs Agency (AADK) director-general Datuk Seri Zulkifli Abdullah reported that Sarawak has the highest number of secondary students who abuse drugs as of October 2018. He added that the type of drugs Sarawakian students are addicted to is usually methamphetamine, also known as crystal meth. There could be many factors affecting their substance abuse, one should not quickly have assumptions, but research has stated economic status as a contributing factor. According to a basic amenities report in 2016, school children of Sarawak reside furthest from their educational grounds compared to the rest of the states in Malaysia. An obvious assumption could be that Sarawak has the largest surface area. Besides, the number of schools could also be a factor behind the social issue. Besides, the number of schools could also be a factor behind the social issue. 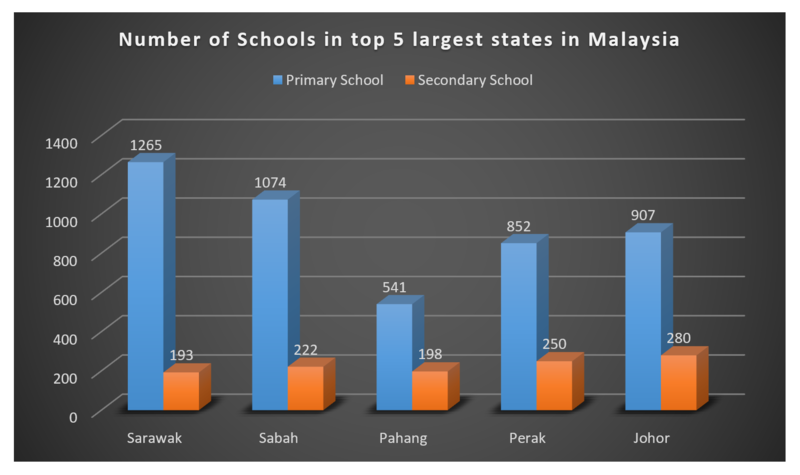 Statistically, Sarawak has the highest amount of primary schools, but the lowest amount of secondary schools. Is it safe to assume there are not enough schools for secondary school aged children? To support the above, Sarawak is primarily faced with the issue of high dropout rates due to poor support systems from both the government and families of students. Many students, especially from remote areas, were forced to work instead of proceeding with their education because of poverty. Moreover, Sarawak’s Minister of Education, Science and Technological Research Dato Sri Michael Manyin reports 1,020 dilapidated schools in the state, 371 schools did not have electricity supply and were fully dependent on generator sets, while 428 schools lacked treated water supply. Last year, Education Ministry has awarded contracts worth RM419.05 million to repair 116 schools. But Sarawak’s Minister of Education, Science and Technological Research Dato Sri Michael Manyin said Sarawak needs at least RM5 billion to repair and rebuild the dilapidated schools, and he hopes that the federal government would give more aid.